Costa Dorada will become the house of the next Spanish Cup of Lacrosse 2018 – i.s.t.a.a. 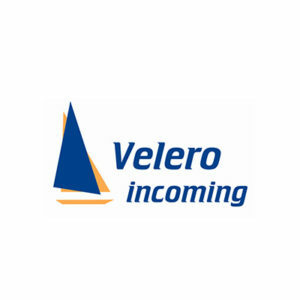 Sports incoming by Velero Incoming will organize hand by hand with the AEL (Spanish Association of Lacrosse) the next Spanish Cup of Lacrosse 2018. The weekend of the 12th, 13th and 14th of October will take place in the villages of Salou, Cambrils and Riudoms the Spanish Cup of Lacrosse 2018. The Cup will host the most important Lacrosse teams of Spain (male and female). It will be an exciting final competition where the best teams of the country will play for the victory. The edition of this year will attract to the towns of Salou, Cambrils and Riudoms more than 12 teams coming from the whole country. The team of Barcelona Dracs Lacrosse the recent league championship, will try to beat the last cup championship, Madrid Lacrosse who won the title on an exciting final match against the Barcelona Dracs lacrosse on the last edition of the Spanish Lacrosse Cup of 2017. Apart of the teams already mentioned, the tournament will count with the presence of teams like Sevilla, Alicante, Donosti, Cuenca, Salamanca and Bilbao. The Spanish Cup will take place at 3 local pitches; 2 located in Riudoms and one pitch located in Cambrils from 09AM till 8 PM on Saturday 13/10, where the first rounds of the tournament will take place. On Sunday, it will be the turn of the final and the game for the 3rd and the 4th position on the Male’s and the female’s Competition.